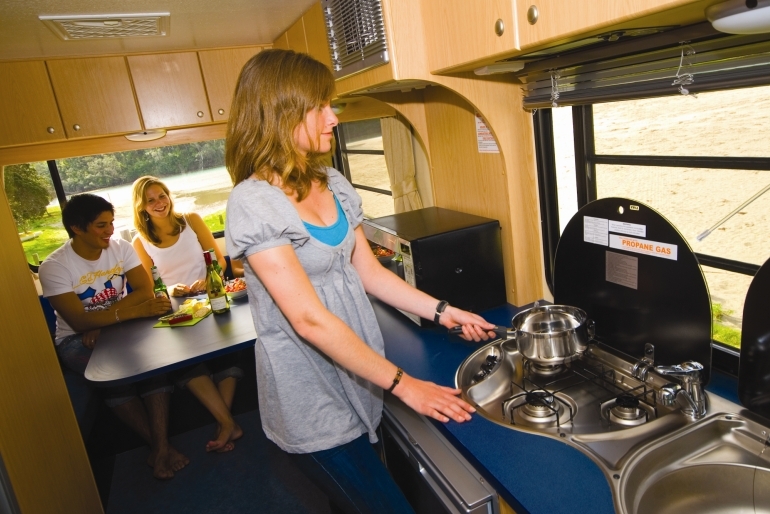 The Cheapa 6 Berth is ideal for larger groups and families who value a budget friendly holiday alternative. 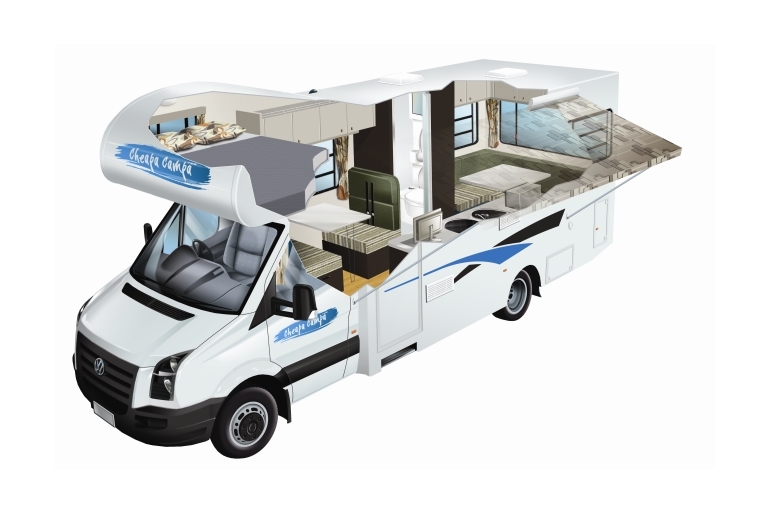 The thoughtfully designed interior features all the comforts you would expect from a 6 berth motorhome whilst still being incredibly economical. 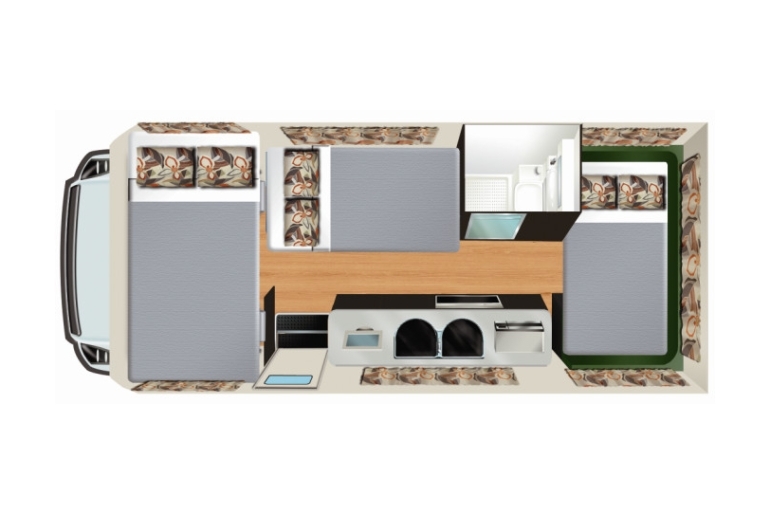 Features include 3 comfortable double beds, full kitchen facilities (including gas stove, fridge, microwave and sink) and a bathroom with shower and toilet. 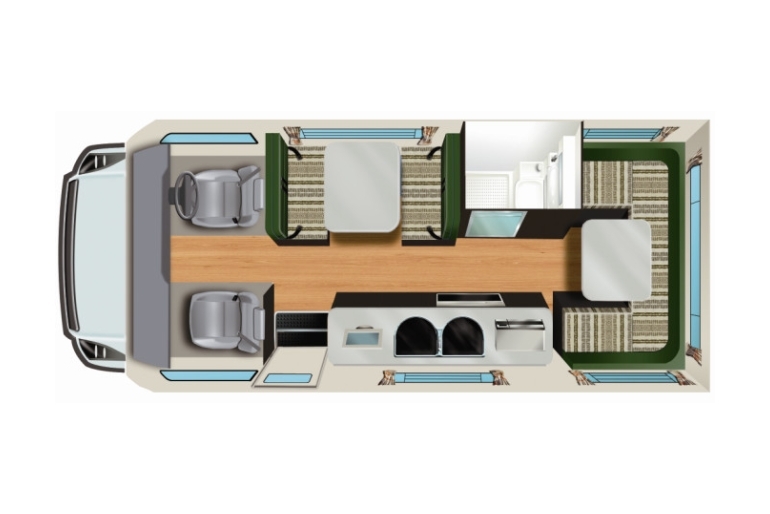 The Cheapa 6 Berth also offers a large side awning to enjoy during the day and a TV (with video or DVD) to keep everyone entertained at night. 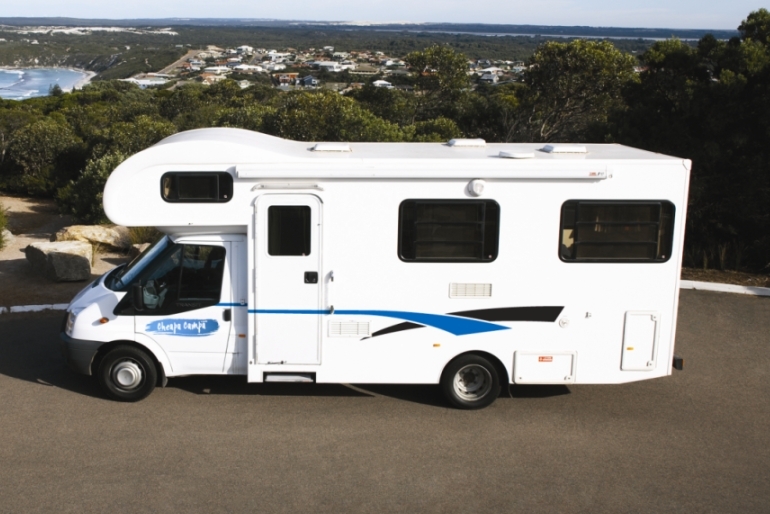 The Cheapa 6 Berth is the perfect option for a low-cost home away from home . 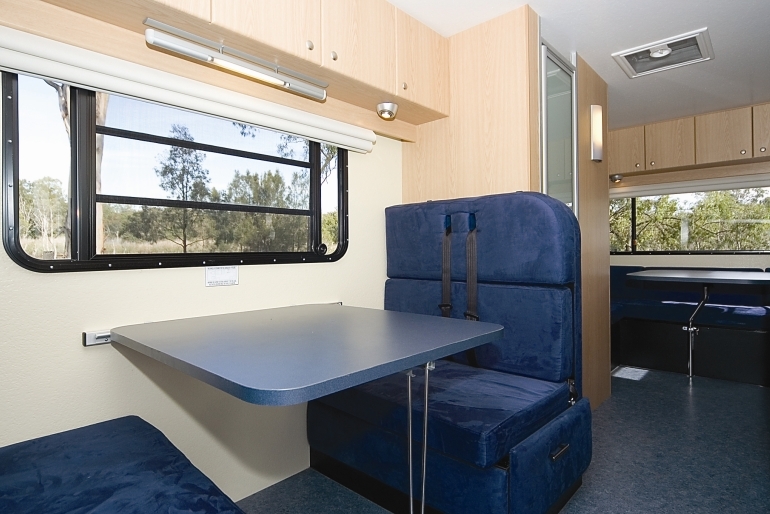 This vehicle can accommodate up to 6 x adults in 3 x double beds. 1 Electric kettle, 1 Whistling Kettle, 1 Toaster, 1 Breadboard/cutting board, 1 Frying Pan, 2 Sauce Pans, 1 Egg Lift, 1 Tongs, 2 Sharp Knives, 1 Potato Peeler, 1 Tin Opener, 1 Cork Screw, 1 Colander, 1 Salad Bowl (set of 3), 1 Microwave Dish, 6 Knives/Forks/Spoons/ Teaspoons, 6 Glasses, 6 Dinner Plates/ Side Plates, 6 Desert Bowls, 6 Cups. Please Note: Floor Plans and Vehicle specifications in the above table are subject to change without notice & may vary due to modifications &/or upgrades. Cheapa Campa cannot be held liable for any such variance. Vehicles cannot be requested by make or model, only by vehicle type.